In the 2nd half of 2018, compared to the 1st half of 2018, the average purchase prices of coniferous round timber increased, while that of deciduous trees fell. The highest rise was recorded in the prices of pine round timber in diameter under 14 cm and asp saw logs in diameter 18–24 cm, while the most notable decline was observed in the prices of birch saw logs in diameter over 24 cm, according to the latest data from the Central Statistical Bureau of Latvia. Compared to the 1st half, in the 2nd half of 2018 the sharpest rise in coniferous three sector was registered in prices of pine saw logs in diameter under 14 cm (on average of 10 % or 5 EUR/m3), spruce saw logs in diameter over 26 cm (5 % or 4 EUR/m3), and spruce round timber in diameter under 14 cm (5 % or 3 EUR/m3). Smaller increase was recorded in prices of pine saw logs in diameter over 26 cm, pine saw logs in diameter 18–26 cm, spruce round timber in diameter 14–18 cm, and spruce round timber in diameter 18–26 cm. No changes were registered in the average purchase prices of pine saw logs in diameter 14–18 cm (72 EUR/m3). The rise in the purchase prices of round timber are related to the favourable weather conditions of 2018 when dry summer allowed to fell forests also located on lower land areas. Regardless the fact that availability of timber increased, the sector still had timber shortage. Compared to the 1st half, in the 2nd half of 2018 the most notable rise within the deciduous tree sector was observed in purchase prices of asp saw logs in diameter 18–24 cm (of 13 % or 5 EUR/m3). 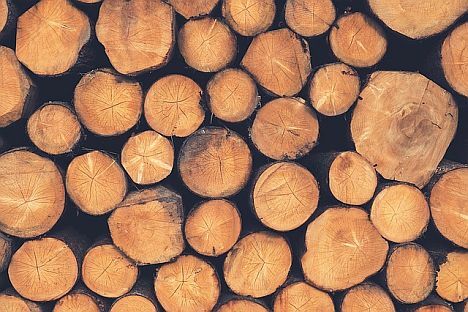 Smaller increase was observed in purchase prices of deciduous packing timber (of 4 % or on average 2 EUR/m3) and birch saw logs in diameter 18–24 cm (of 2 % or on average 1 EUR/m3). The most notable reduction was recorded in the purchase prices of black alder saw logs in diameter over 24 cm (of 10 % or on average 5 EUR/m3), birch saw logs in diameter over 24 cm (6 % or 5 EUR/m3), and black alder saw logs in diameter 18–24 cm (5 % or 2 EUR/m3). Reduction was registered also in the purchase prices of birch veneer logs of categories A and B and asp saw logs in diameter over 24 cm. Over the ten years, purchase prices of round timber have reached their maximum value. Compared to the 1st half of 2009, in the 2nd half of 2018 the most notable rise within the coniferous tree sector was observed in the purchase prices of spruce saw logs in diameter under 14 cm (on average of 127 % or 32 EUR/m3) and pine saw logs in diameter under 14 cm (112 % or 30 EUR/m3). Purchase prices of other spruce saw logs grew within the limits between 85 % and 90 %, while of pine saw logs between 90 % and 95 %. Over the period, the greatest rise in deciduous tree sector was observed in the prices of veneer logs of category A – of 123 % or 58 EUR/m3, while prices of veneer logs of category B grew by 73 % or 29 EUR/m3. Increase was recorded also in prices of birch round timber in diameter over 24cm (of 105 % or on average 40 EUR/m3) and deciduous packing timber (102 % or 23 EUR/m3). Purchase prices of asp saw logs grew from 64 % to 75 %. The lowest rise was recorded in purchase prices of black alder saw logs in diameter 18–24 cm (on average of 18 % or 6 EUR/m3) and black alder saw logs in diameter over 24 cm (19 % or 7 EUR/m3).